Available for Sale or Fabrication. Coordinating Chassis Available for Sale and Rent for 8’6′ H ONLY. 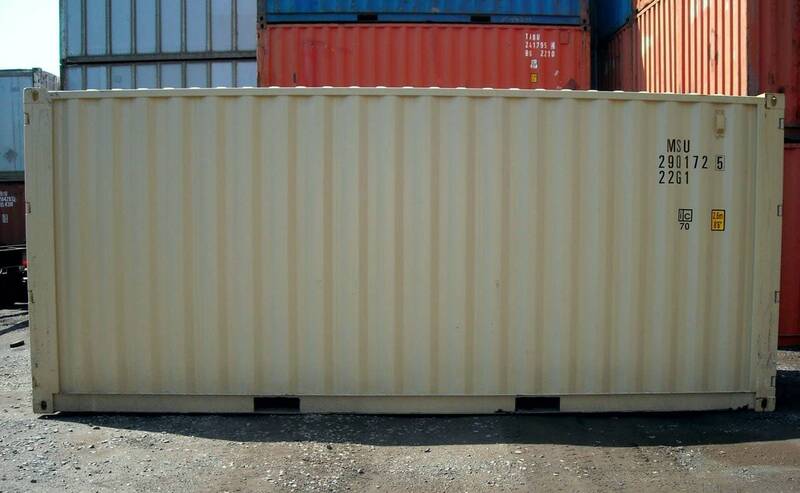 Our compliment of inventory includes New One-trip 20ft L X 8ft W X 8’6′ H AND 9’6′ H Doubledoor cargo containers. Units are manufactured with two swing doors at both ends for ease of access and loading oversized materials and machinery. 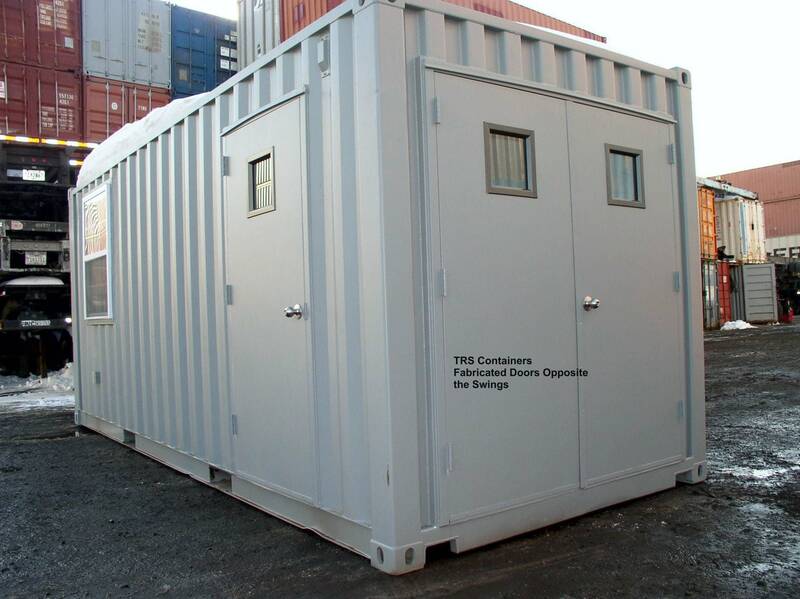 Doubledoor containers can be in short supply so TRS fabricates 20ft containers with access on both ends. 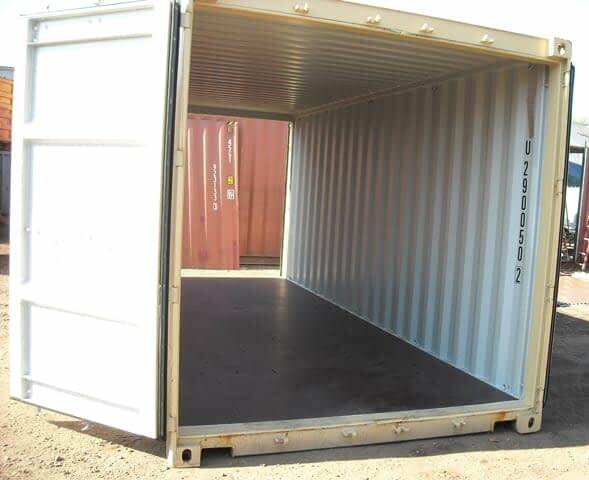 We install roll up doors, personnel doors and we stock ISO container end-frames that can be welded on in a pinch. Affords the ease to load and maneuver large product inside. Delivery can usually be made within 48 hours. Durable, stackable and flexible in construction design. Locking bars are set high so no bending required. Manageable to stack or move at construction site or military theater. More cost effective than brick and mortar construction. No structural assembly or foundation required. Reusable and easy to transport from job to job. Survive natural disasters like hurricanes and earthquakes. Ashtray vents for air flow prevent condensation. Blasted, primed, painted with marine grade paint for durability. High security steel lockbox standard on new units. New container CSC plate valid for 5 years from date of manufacture. Option of 8’6′ H or 9’6″ High to satisfy your specific application. Steel blocks at each corner for overhead lifting. Support weights in excess of 50,000lbs. Two swing doors on each to create an easy access tunnel. 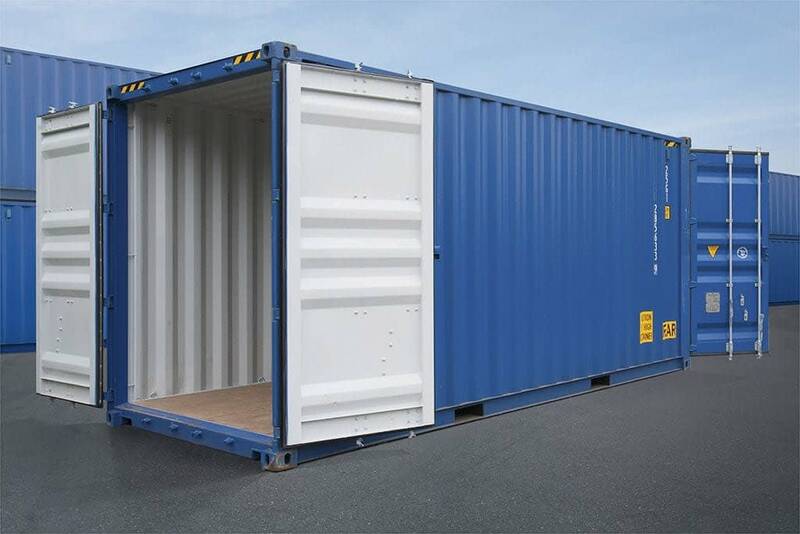 **TRS offers economical options in lieu of purchasing a New doubledoor container. 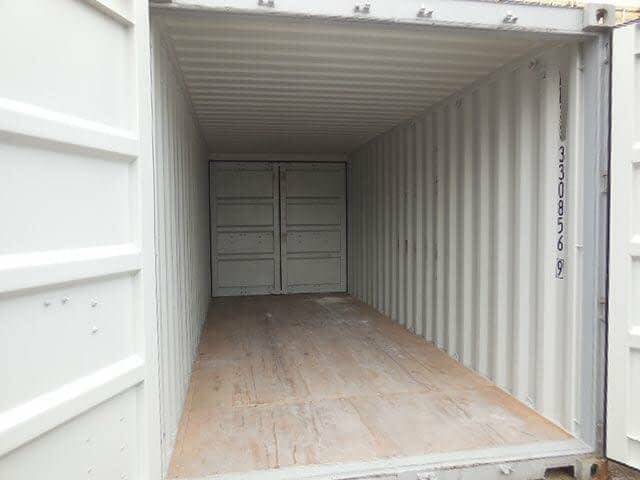 Select a 20ft used standard container and we install a roll up door opposite the original swing doors. We can install less expensive swing out doors. 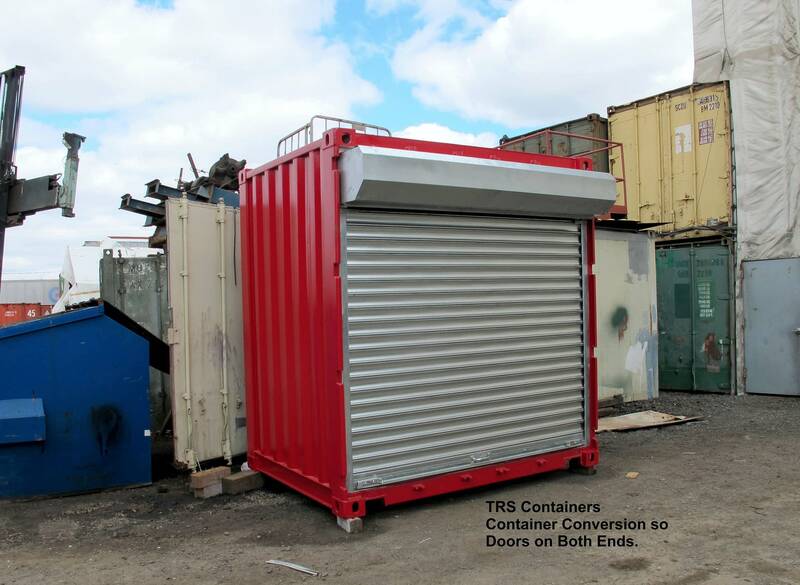 Lastly, when new inventory is limited TRS can install a door end-frame and convert a standard container into a true doubledoor unit. Weld racks in to hold lumber or pipe.